A rare Bechstein’s bat in the New Forest. Photo Credit: Colleen Mainstone, Hampshire Bat Group. To some people they bring to mind vampires and horror stories. But the New Forest National Park Authority says Hallowe’en is the perfect time to discover that bats are fascinating animals full of many mysteries. The New Forest is a stronghold for bats and it is thought that 13 out of the 17 resident UK species can be found here. The National Park Authority and the Hampshire Bat Group volunteers have been working over the past few years to help two of Europe’s rarest species. Volunteers have been surveying Bechstein’s bats and barbastelle bats in the New Forest, both of which like to live in ancient woodlands. Until recently only a handful of breeding sites for either species were known in the UK. 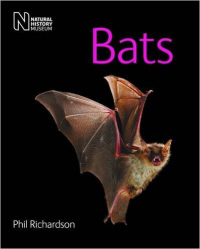 National Park Authority Ecologist Ian Barker said: ‘The United Nations has designated 2011 as Year of the Bat and it’s the perfect time to dispel lots of myths about these incredible creatures. Bats aren’t harmful and are very good for the environment. 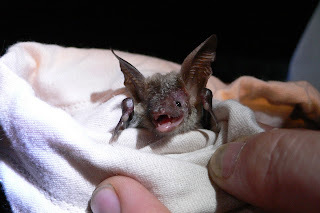 ‘We know very little about Bechstein’s and barbastelle bats. Licensed handlers have caught some of the animals to identify, measure and record them, as well as fitting them with a tiny transmitter so we can learn where they roost and forage. None of this harms the bats and the transmitters fall off after a couple of weeks. The information gathered will guide land management within the New Forest to help the species survive. Ian says the best places to see bats are at dusk near water, such as Eyeworth Pond near Fritham and Hatchet Pond near Beaulieu. However time is running out this year as the bats will be preparing to hibernate. More details of bats in the New Forest and how to help are on the National Park Authority’s website at www.newforestnpa.gov.uk.